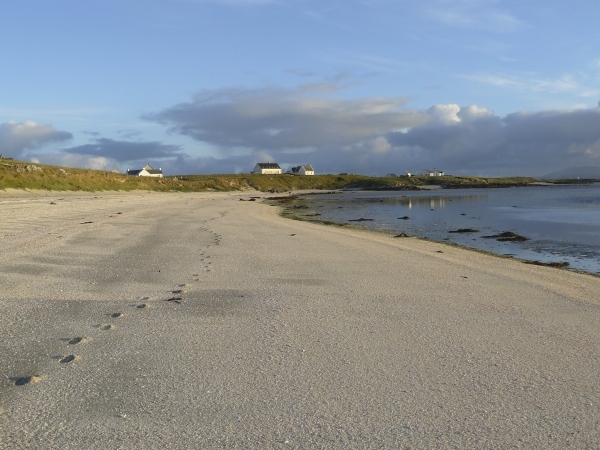 For a Self Catering Holiday on the beautiful Island of Barra, look no further than Crofters Cottage. Crofters Cottage is located in Eoligarry, just 1 mile north of Barra Airport, overlooking Traigh Cille-Bharraigh with its stunning open views. At Crofters Cottage, we try to make you feel as much at home indoors as the rest of the island does while you’re out and about. This isn’t an abandoned, empty or unloved house. It’s our home for as much of the year as we can make it. That’s why we know you’ll find it well appointed, warm, comfortable and relaxing. 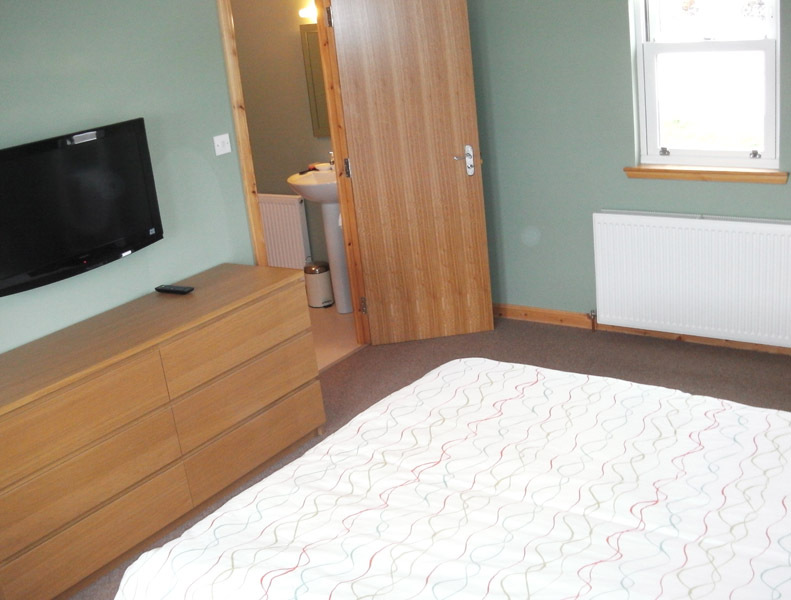 * A spacious living room with wood burning stove, TV and DVD player, DVDs, games and books. * A fully fitted kitchen, with electric hob and oven, microwave, fridge freezer, washer, dryer and all mod cons. * Three bedrooms, 1 king (with ensuite), 1 double and 1 twin. Ample parking… and much more besides. Go to www.crofterscottagebarra.co.uk for more information, to check availability and to book online. After a long journey from Surrey we arrived to find a warm, immaculately clean and comfortable cottage equipped with everything one could need, including a welcoming bottle of wine and even binoculars to view the wildlife out at sea. There was also food in the larder – very helpful when arriving after the shops had shut. We were blessed with glorious weather and the cottage is situated literally within a stone’s throw of a beautiful beach and clear blue sea, with many others close at hand. The views are amazing with local walks close at hand. A visit to the airport to watch the plane landing on the beach is a must. Barra is a beautiful island, well worth the long journey and Crofters Cottage was the icing on the cake. Thoroughly recommended. This is a fantastic cottage situated in an amazing location. The views are out of this world and we spent quite a lot of time sitting on top of the sand dunes (just over the road) having an early morning coffee, looking out to sea, listening to the seals and birds. We had fab weather and ended up walking from the cottage on several occasions along amazing beaches and up onto the fell for fab views of the surrounding isles. The cottage has everything that you could need for a comfortable holiday It’s very well equipped and very roomy. It’s quiet location guarantees a good night’s sleep!! I thought the welcome bottle of wine was a lovely touch! We would definitely stay here again but I think we’d have to book far in advance as I’ve got a feeling that it might become very popular! We had a really lovely visit to Barra and Crofters Cottage was perfect for us. The mixed bag of weather meant we fully appreciated both the patio and the wood burning stove! The Island is so beautiful and the holiday worked brilliantly for my mum, who really enjoyed herself. 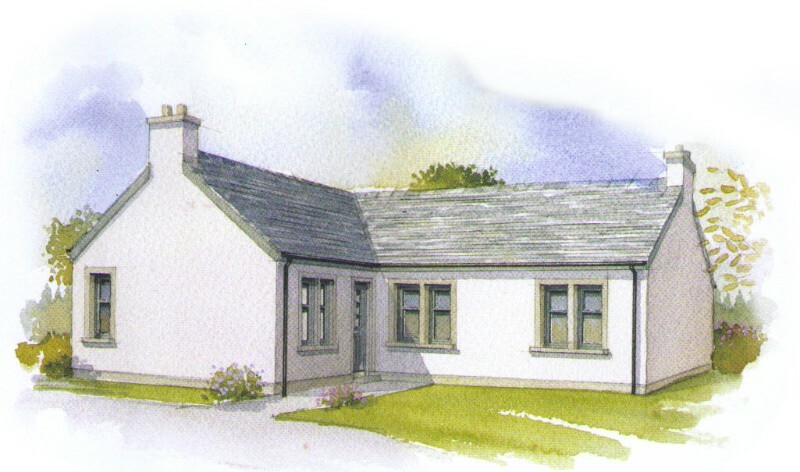 We would love to make a return visit to Crofters Cottage some time – fingers crossed – and meantime such happy memories. This is a lovely cottage in a magnificent location overlooking a large sandy beach. Inside, there is plenty of space and the rooms are really well laid out. The cottage is very clean and finished to a high level and has a very cosy feel to it, complete with a wood burning stove for those not-so-nice days. On the nicer days, there is a large area of decking for enjoying the excellent views and tranquility. We loved staying here and exploring Barra, having that beach a few metres away was simply amazing, plenty of rock pools for the kids, also there are some great walks in the area on both sides of the island. Highly recommended.